The unusually hot summer and drought in 1988 in parts of North America stimulated wide discussions about the cause of these events. While most scientists now studying climate believe that the 1988 events were short-run phenomenon, some scientists and many policy makers in the U.S. Congress and Administration suggest that this weather was linked to global warming caused by a build-up of the so-called greenhouse gases: carbon dioxide, nitrogen oxides, methane and chlorofluorocarbons. To prevent major global climate change all countries must begin to act now. However, there is no agreement on how rapidly greenhouse gases will be emitted over the next century, how rapidly they will accumulate in the atmosphere, what will be the cost of abatement, how large the climate change will be, or even whether the change will be predominantly beneficial or harmful. Beyond agreeing that greenhouse gases are likely to result in atmospheric warming, other factors held constant, there is no consensus on any of these questions. Global warming is recognized as one of the most important issues in international politics, although specialists are still uncertain about the role which various socio-economic factors play in global warming under a variety of conditions. Among the factors examined in this paper, the burning of fossil fuels bears the greatest responsibility for global CO2 emissions. Given the growth in emissions in the LDCs, global action to regulate emissions cannot be effective without their full participation and therefore north-south problems need to be addressed simultaneously, or before, the problem of global warming. The problem of global warming is becoming ever more urgent as energy demand has begun to increase again following the collapse of oil prices in 1986. Policies to deal effectively and efficiently with the threat of greenhouse warming must balance the costs of slowing climate change against the potential damages. This survey discusses one half of this question, the costs of slowing climate change by reducing greenhouse gas (GHG) emissions. The analysis provides estimates of the cost of reducing chlorofluorocarbon and CO2 emissions, and inquires into the costs of using forestry options to remove CO2 from the atmosphere. A promising new approach, the use ofgeoengineering, is discussed qualitatively. Adequate control of CO2 emissions may require a significant increase in energy price, which in turn wilt create long-term economic costs. This paper explores the effects of long-term productivity trends in the U.S. economy and relates them to the cost of reducing CO2 emissions. Technology change has been negatively correlated with energy prices and positively correlated with materials prices. Thus, if all prices remain constant expenditures on materials per unit of output will decline, and expenditures on energy per unity of output will increase. If energy prices increase, the rate of productivity growth will decrease. This trend will be very small, if measured on an annual basis, but eventually could be quite significant. A comparison with recent cost estimates of CO2 emission control suggests that this otherwise ignored productivity effect could be the largest component of a complete cost analysis. In this paper, we explore how the costs of a CO2 limit are likely to vary among regions. The analysis is based on Global 2100: an analytical framework for estimating the economy-wide impacts of rising energy costs. We investigate how emissions are likely to evolve in the absence of a carbon limit, and how the regional pattern is likely to shift during the nest century. We then examine alternative strategies to limit global emissions, calculate the impacts of higher energy costs upon conventionally measured GDP, and indicate the size of the carbon tax that would be required to induce individual consumers to reduce their dependence on carbon-intensive fuels. This paper starts from the premise that attempts to curtail global emissions of greenhouse gases are likely to be made in the next few decades. We discuss some of the possible international effects which could result from attempts to achieve such a cutback, and illustrate a methodology which we hope to extend, in subsequent work, to further evaluating the consequences of responding to the problem of global warming. We identify possible magnitudes of effects of cutting global CO2 emissions, and illustrate ways in which inter-country terms-of-trade effects and changes in trade patterns may occur. Various countries in Europe are considering tax schemes to combat the threat of global warming and Europeans have shown their concern by their growing support of the various Green parties. Unfortunately, policy-oriented research on climate warming lags behind North America and governments still seem to display a "wait and see" philosophy. Europe expects a leading role in any global climate convention and, because of its trade links and the uniqueness of the British Commonwealth, has a special role in regard to developing countries. These links are especially important since domestic policies must be coordinated and combined with international agreements in order to be effective. This paper analyzes projected carbon dioxide emissions from the developing countries in 2025. 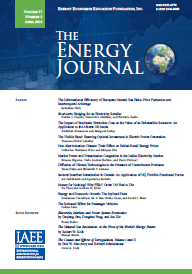 The paper is based on analyses of energy use patterns, today and in the future, for nine major developing countries. These countries account for over two-thirds of the energy related emissions from the developing world The analysis indicates that emissions from these countries increase fourfold by 2025, but policies aimed to reduce emissions curtail them to a threefold increase. Further, more than three -quarters of the reduction in carbon emissions are achieved through efficiency improvements and the remaining improvements are achieved through fuel switching. Industry contributes the most to carbon emissions, followed by the transport and residential sectors. Transport displays the largest relative potential for carbon reduction (33%). The economic growth rates to which each country aspires increase oil demand from 7 million barrels today to 25 million barrels by 2025. While this level may not strain world oil supply, individual countries may not be able to import oil because of foreign exchange constraints. Thus despite efficiency improvements and fuel switching energy demand and carbon emissions from the developing countries increase severalfold by 2025.